SANTA MONICA, Calif., Dec. 6, 2017 /PRNewswire/ — Macerich (NYSE:MAC), one of the nation’s leading owners, operators and developers of retail properties in top markets, and Life Time®, the nation’s only Healthy Way of Life brand, today announced a ground-up, 80,000 square-foot, resort-like Life Time Athletic healthy lifestyle, wellness and entertainment destination to be built at Biltmore Fashion Park in Phoenix. The luxury, high-end destination will be the first Diamond-level location for Life Time in Arizona, and the organization’s sixth club in the state. The new destination will be built in the east surface parking lot of the shopping center. Life Time at Biltmore Fashion Park will offer a healthy living, healthy aging, healthy entertainment resort LifeSpa, a full-service salon and spa providing serene and relaxing treatment rooms for massage and facials as well as full hair and nail service; LifeCafe, a full-service, fast casual restaurant and bar; and a rooftop pool with bistro, plus a unique Kids Academy program, group fitness studios, yoga studios, a cycle studio, a Pilates studio, basketball court and much more. 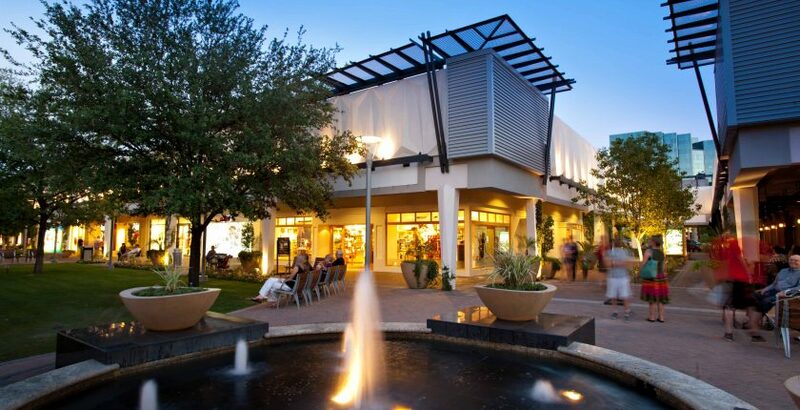 The iconic, all-outdoor Biltmore Fashion Park is Arizona’s original luxury retail destination, featuring Saks Fifth Avenue, Stuart Weitzman, Jonathan Adler, lululemon and more, plus a stellar line-up of destination restaurants including The Capital Grille, The Cheesecake Factory, Christopher’s and Seasons 52, and a rich variety of dining experiences from Fox Restaurant Concepts, such as True Food Kitchen, Zinburger and BLANCO TACOS + TEQUILA. Life Time champions a healthy and happy life for its members across 129 destinations in 37 major markets in the U.S. and Canada. As the nation’s only Healthy Way of Life brand, Life Time delivers an unmatched athletic resort experience and provides a comprehensive healthy living, healthy aging and healthy entertainment experience that goes well beyond fitness to encompass the entire spectrum of daily life for individuals, couples and families of all ages. For more information visit www.lifetime.life. Macerich currently owns 53 million square feet of real estate consisting primarily of interests in 48 regional shopping centers. Macerich specializes in successful retail properties in many of the country’s most attractive, densely populated markets with significant presence in the Pacific Rim, Arizona, Chicago and the Metro New York to Washington, DC corridor.